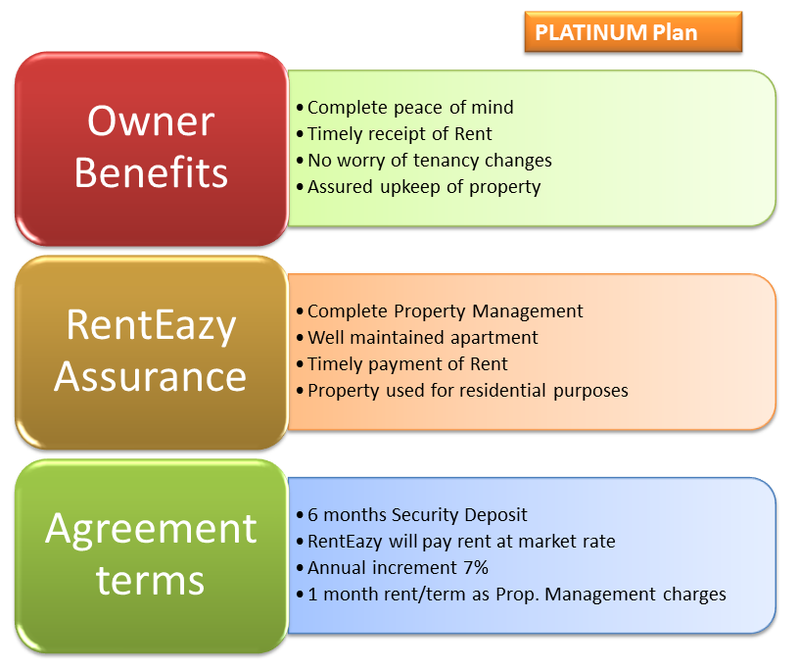 RentEazy will take the property on rent from you and ensure proper upkeep and management of the property. The property will in turn be sub-let to tenants; RentEazy will collect rent from the tenant and deposit into your account in a timely manner. For you (the owner), you get complete peace of mind regarding your let our property with annual increase in rent and a virtual tenant for the entire duration of the agreement.